Hey everyone! 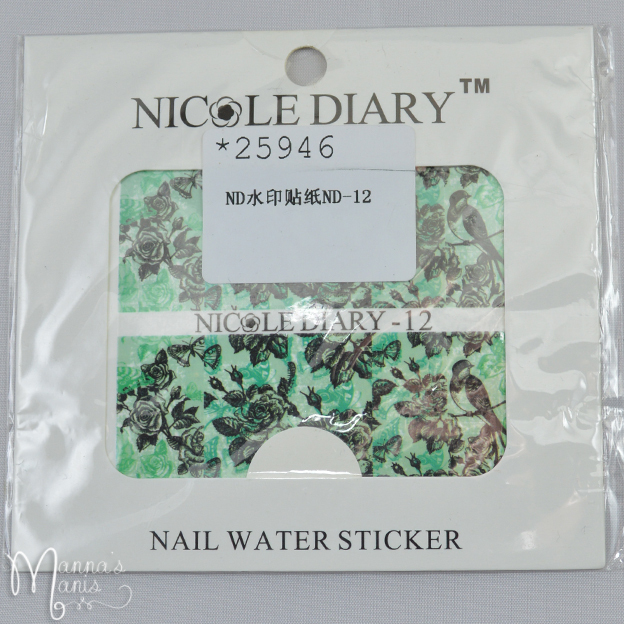 I'm sure by now you have seen Nicole Diary water decals on other blogs. I'm totally late on starting to get mine up! 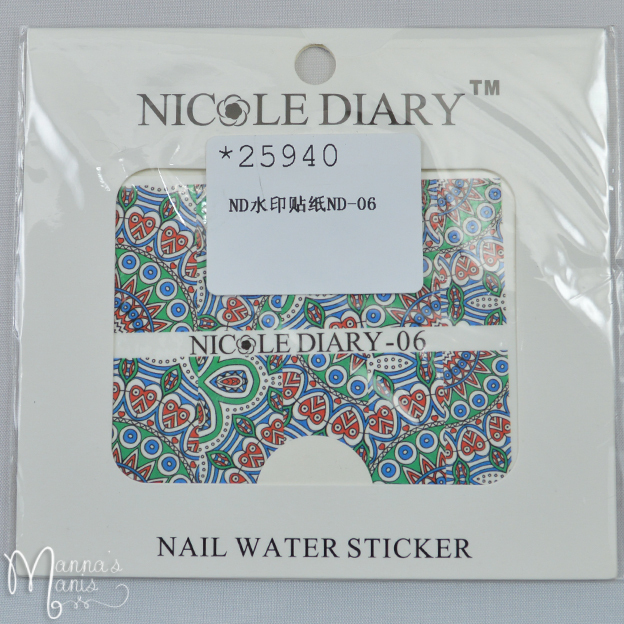 Nicole Diary is sold on Amazon and Aliexpress, so shipping is FAST! Today I'm going to share with you 2 of the 10 decal sheets I was sent. 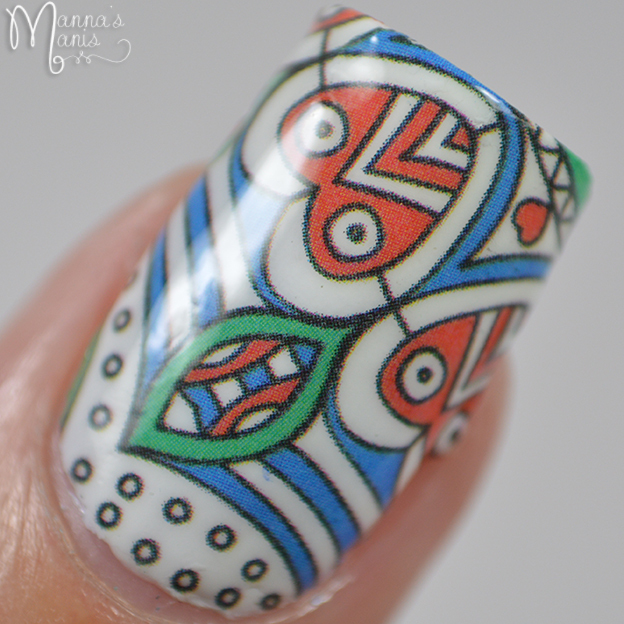 I'll share the manis first, and speak a bit about them at the end! 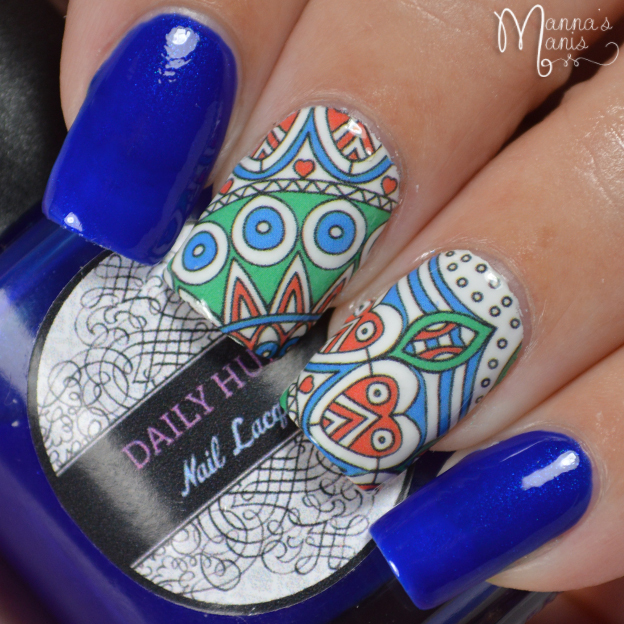 Blue: Daily Hues Nail Lacquer Blake. White base under decals: Zoya Snow White. 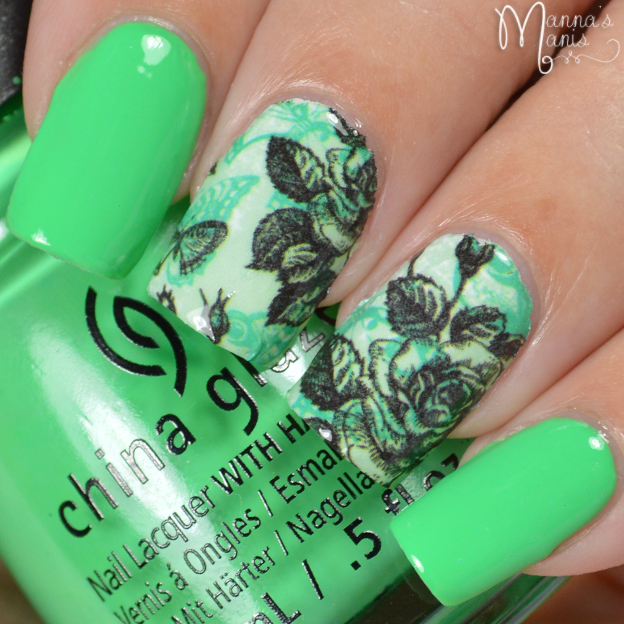 Green: China Glaze Treble Maker. White base under decals: Zoya Snow White. -Cut out desired decal shape, remove the plastic film. -Dip into water for up to 15+ seconds until decal removes easily from paper. -Place on nail, don't worry if you mess up, they're easily removable a couple of times so you can replace them. Be sure your white base is top coated or this won't work. 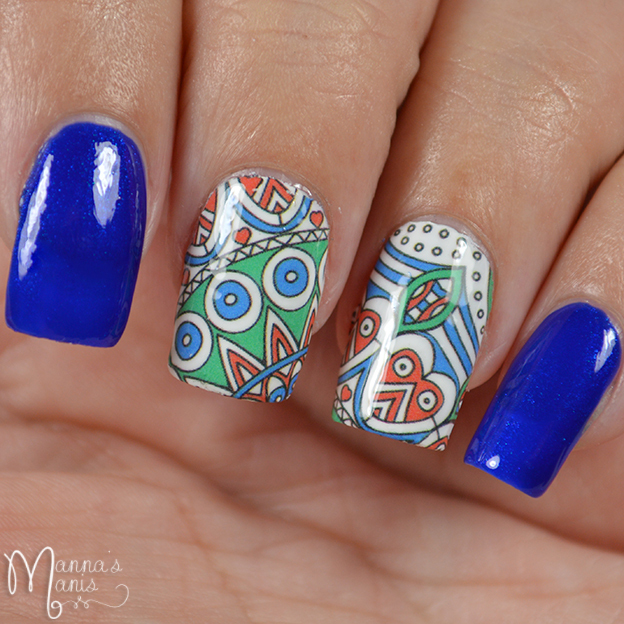 -Cut off excess at end of nail, wrap the rest under your nail. 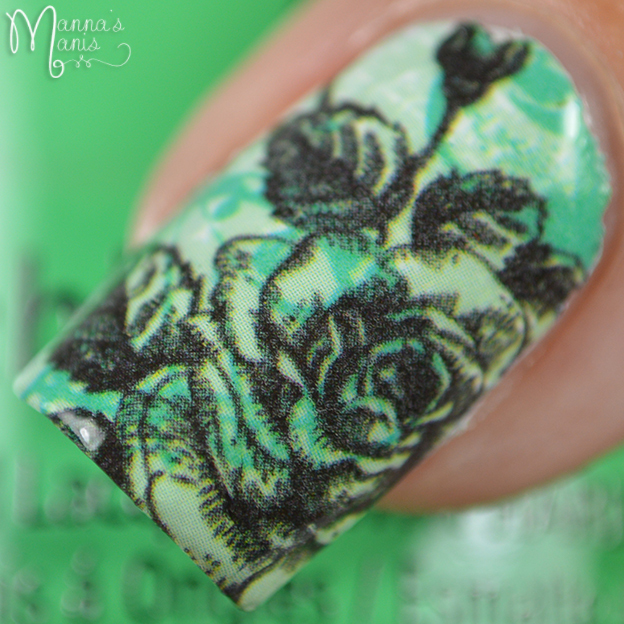 Use a brush dipped in acetone to remove decal around nail. Top coat. I found these decals to be of good quality and I had no issues with them at all! Top coat didn't smear them, so that's ALWAYS a plus! Price & Availability: Available on AliExpress for 56% off right now, normally $1.99. You can use my code Man2016 and you will receive a free gift valued at $2-$5. The Color Box: Teal ALL the Things!